Dutch stroopwafel Liquor based on the original stroopwafel recipe. Very taseful and for the sweet stroopwafel fans an amazing drink. The bottles contains 50ML in this box are 12 small bottles, also knows as shots. Alcohol percentage: 14.7%. The stroopwafel liquor is gluten free. You can perfectly put this in your cup of tea or coffee or together with a nice stroopwafel dessert. This stroopwafel liquor is very famous in the Netherlands many tourists try it and they really like it. One of our best products in the Stroopwafel World. 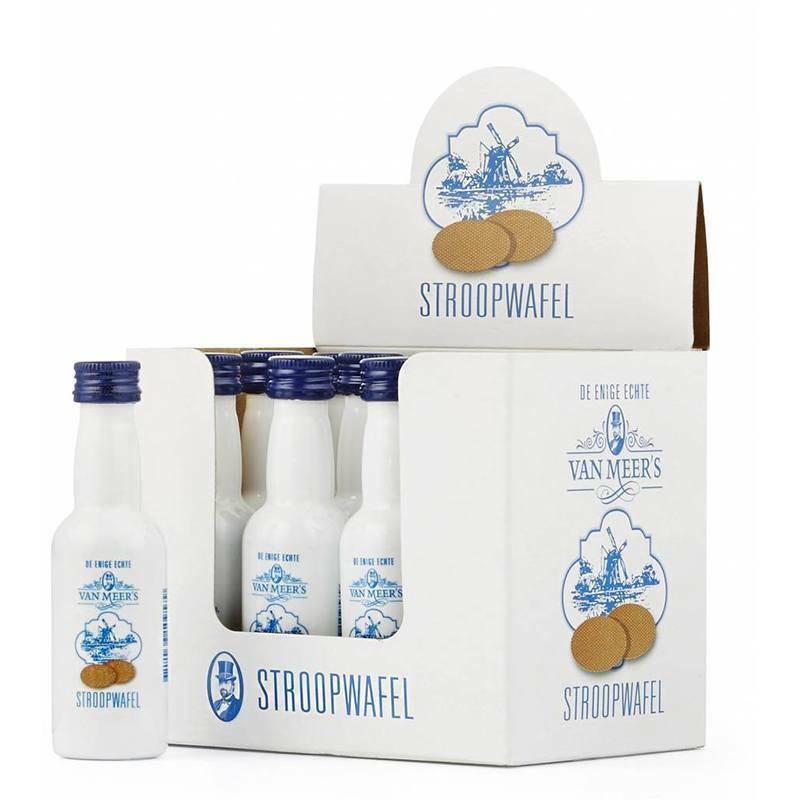 This stroopwafel liquor trays can be shipped all over the world. If you want to receive this items outside the EU, please make sure that you or your broker will have an import license.